Pitbull and Enrique Iglesias have officially announced their highly-anticipated 2017 North American co-headlining tour with special guest CNCO. 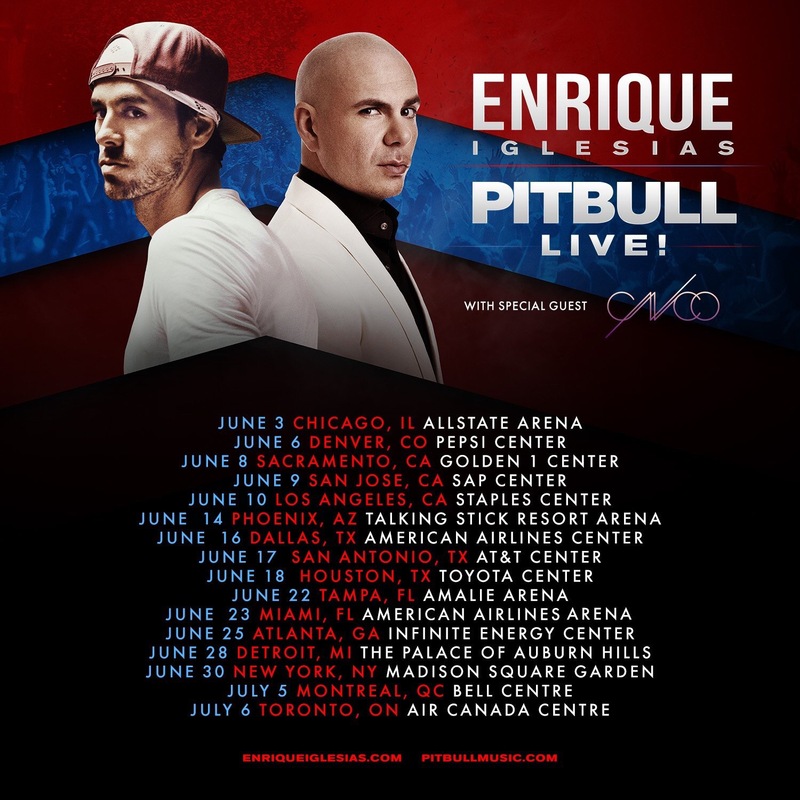 The tour is titled “Enrique and Pitbull Live!“. 4/21 UPDATE: Pitque has added 18 new dates as a second leg of the tour in September and October. The 16-date tour kicks off in Chicago, IL on June 3rd and ends in Toronto, ON on July 6th! Using the Pitbull Fan, Enrique Iglesias Fan, VIP Packages, and Live Nation pre-sales, fans will be able to purchase tickets before the general public beginning Tuesday, March 21st at 10 a.m. local time. Tickets will become available to the general public starting Friday, March 24th at 12 p.m. local time via LiveNation and TicketMaster. Ticket prices vary by city and VIP Packages will be available. Take a look at the full list of the tour dates below! The dynamic duo, who fans have dubbed Pitque, have toured together twice in the past: once on the Euphoria Tour in 2011 and the second time on the Enrique Pitbull Tour in 2014/2015. And due to popular demand, they are back for another round! The two Latin superstars have been hinting at another joint tour for the past year now and a few dates on the tour have been announced previously in Dallas and Sacramento. A few days ago, Pit also teased that he would have a, “huge announcement” today, which turned out to be the tour announcement!